Trevor Hormel and Bellevue Had A Game To Remember! 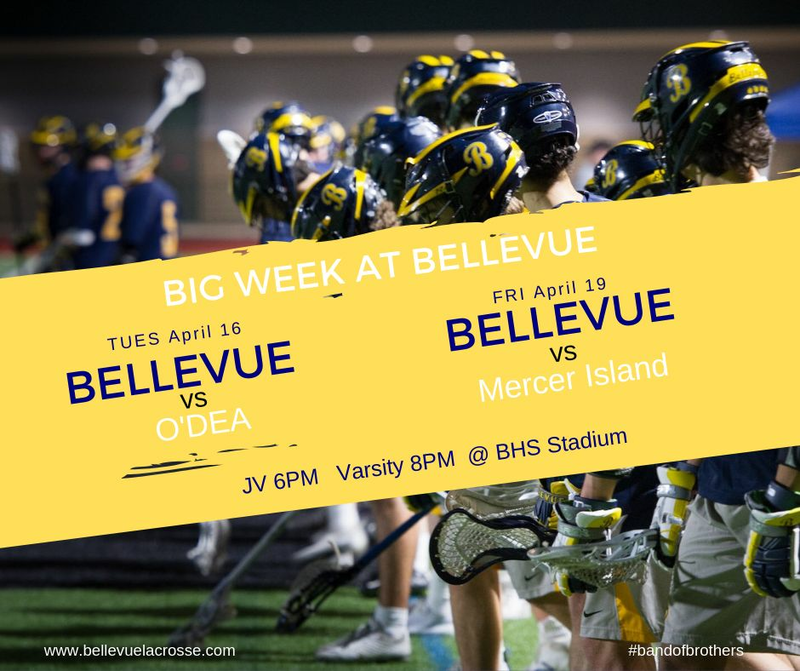 The Bellevue Varsity Boys Lacrosse team kept their fans on the edge of their seats as the Wolverines fought their way to a 6-5 overtime victory over rival O’Dea. The Wolverines used goals in the waning seconds of the first and third quarters, in addition to buzzer beaters to close out the fourth quarter and the overtime frame, to squeak past the Fighting Irish and move to 6-5 on the year. The game got off to a slow start on a cold and rainy night at Bellevue Memorial Stadium, neither team was able to get much going in the first quarter despite both sides having sizable support in the stands. O’Dea rattled three consecutive shots off the pipe before Bellevue junior attackman Carter Laws scored from the right wing as time ran out on the opening period to put the Wolverines up 1-0. O’Dea senior midfielder Calvin Henninger got a shot past Bellevue senior goalie Ethan Schiller midway through the second quarter to tie the game. 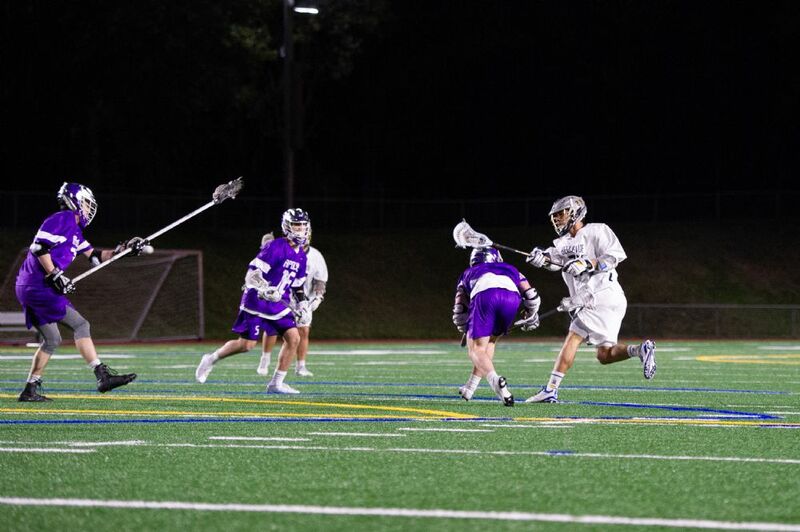 The Wolverines were quick to respond however, a solid offensive possession allowed for senior midfielder Trevor Hormel to get open on an alley dodge for a goal to put Bellevue back ahead at the three-minute mark of the second period. The Wolverines took a one goal lead in to halftime. Neither team couldn’t get a spark coming out of halftime; both sides committed penalties but neither team could capitalize on the man advantage. Both man down units played well all game with senior defender Shane Johnson and senior defensive midfielder Micah Kruser both coming up with key groundballs. With 56 seconds in the third quarter left O’Dea senior attackman, Alden Lumpkin, fought through a push to tie the game at two. After another faceoff win by junior faceoff specialist Grey Sunderland, senior attackman Tate Johnson responded by getting to the goal on a dive to tie the game at three with five seconds left in the third period. Bellevue took a 3-2 lead in to the fourth quarter. Both teams got the offense going coming out of the break with the Wolverines getting a goal from Hormel and the Irish getting one from sophomore midfielder Grant Ovley. O’Dea would go one to score two more goals to take a 5-4 lead in the final minute. Sunderland was able to win yet another faceoff and Bellevue coach Nick Welton called a time out with 12 seconds left to draw up a plan to tie the game. Things were looking questionable for Bellevue coming out of the timeout, but Trevor Hormel scored his third goal as time expired to send the game to overtime. Both teams went back and forth in overtime, the Fighting Irish got the ball with about two minutes left and coach Drew Snider called a timeout to try and set up a play with two minutes remaining. The Wolverines defense, however, put their foot down and defensive midfielders Micah Kruser and Alex Reid combined to force a huge turnover to give the ball back to Bellevue’s offense. 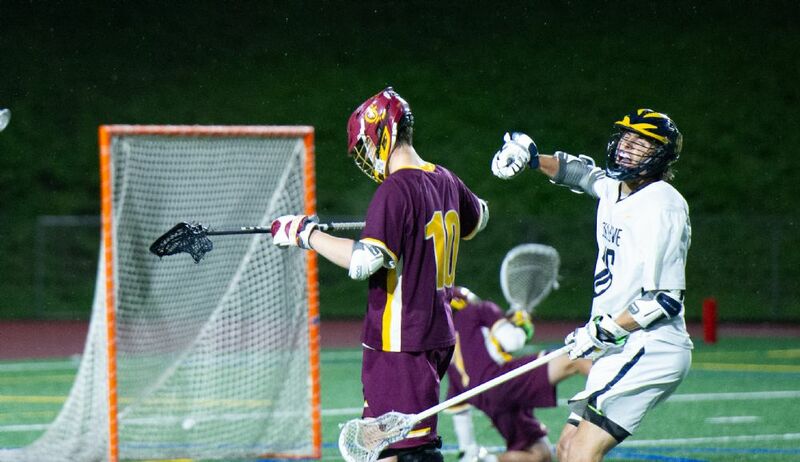 A shot by junior attackman Nate Podolsky was stopped by O’Dea goalie Drew Chapman with 20 seconds left. Chapman tried to push the pace by launching the ball down the field to his attack. The pass was intercepted by Bellevue senior defender Dylan Overton who got the ball to Laws. Laws pushed the ball back down the field and found senior midfielder Michael Kihanya for a deep stepdown shot which found its way in the net for the game winner as time expired sending the Bellevue fans who managed to survive the cold into hysteria. The JV squad used a strong faceoff performance from freshman Jasper Svenson (15 for 24) as well as timely goals from sophomore Jack Mlyroie and junior Max Johnson to earn an 11-11 tie. 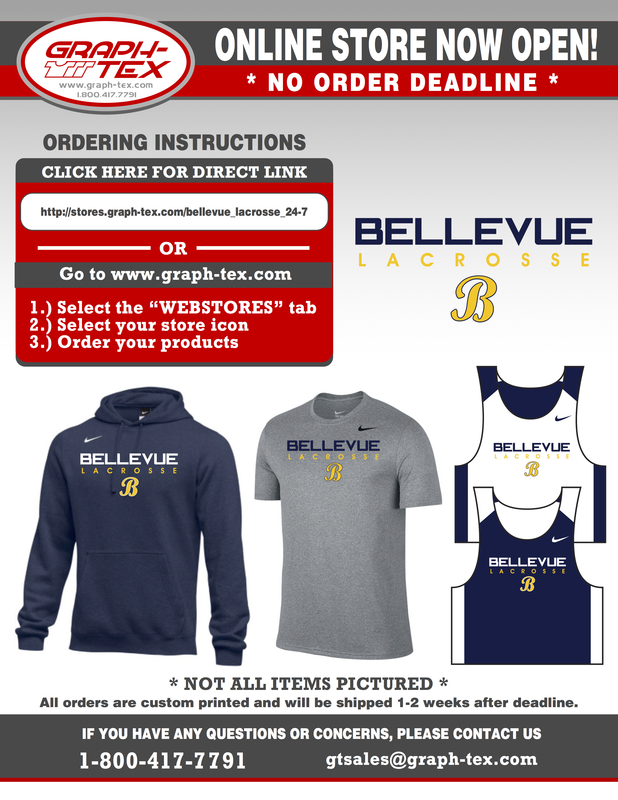 Check out Bellevue High’s student newspaper, The Barque, online at the-barque.com. Bellevue split two games at the NW Invitational, beating Claremont (BC) 6-5 and losing to Lakeridge (OR) 13-9. 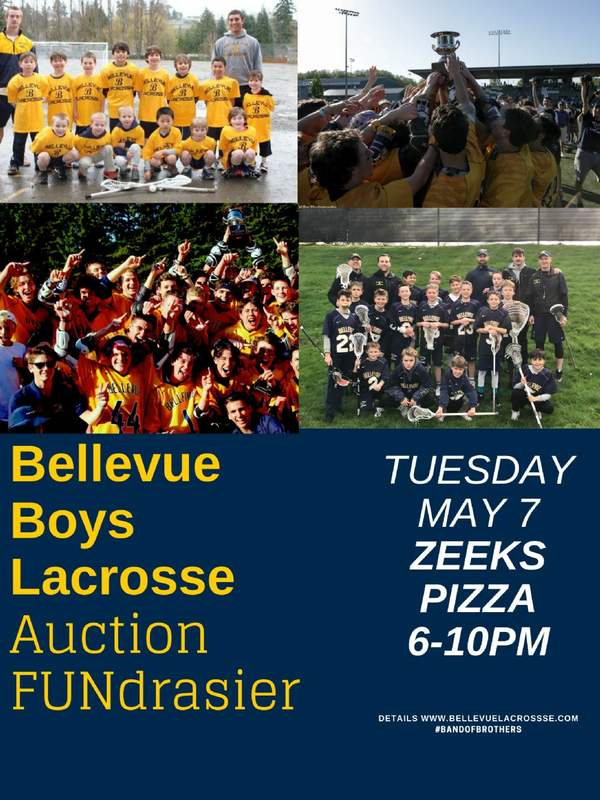 Bellevue visits Bothell on Tuesday, April 2nd before taking off on our Spring Break Trip to Florida. 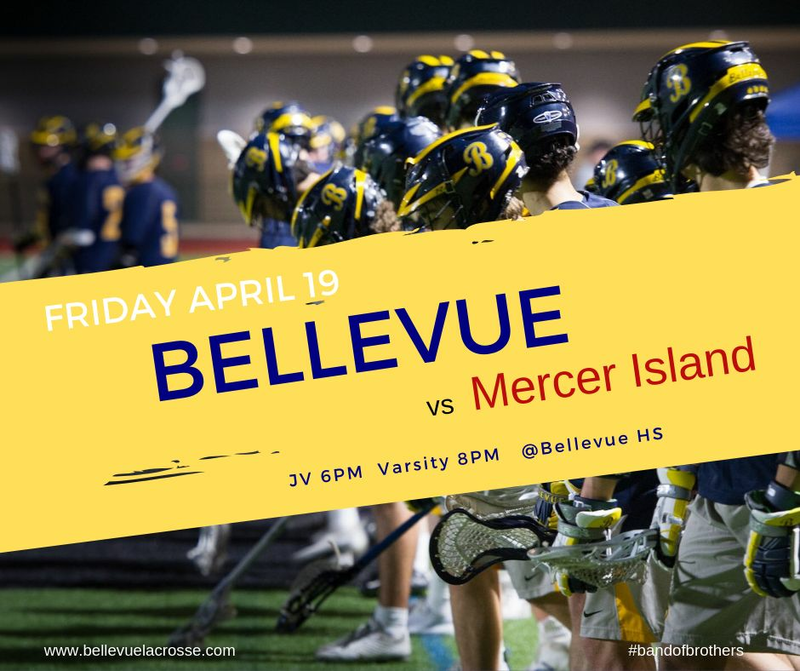 Bellevue loses to Sunset 7-6 in an action packed game that saw six lead exchanges and overtime on a crisp night at Bellevue High. After both teams tested each for most of the first quarter it was Sunset’s Chop Gallagher (5goals) who found the back of the net first. Bellevue’s Tate Johnson answered for Bellevue on a nice inside goal assisted by Trevor Hormel just before the end of the first quarter to knot it up. Sunset opened the 2nd Quarter with two quick goals to take the lead 3-1 and then it was Bellevue’s turn with deuces as Seniors Hormel and Eli Silver found the net to tie the game 3-3! Michael Descamp added another goal for the Bellevue lead 4-3. Sunset answered with two goals in the final 1:30 of the quarter to take 5-4 lead into Halftime. The 3rd quarter opened with Grey Sunderland, dominating the face offs (12 won), won another one and scored to make it 5-5. 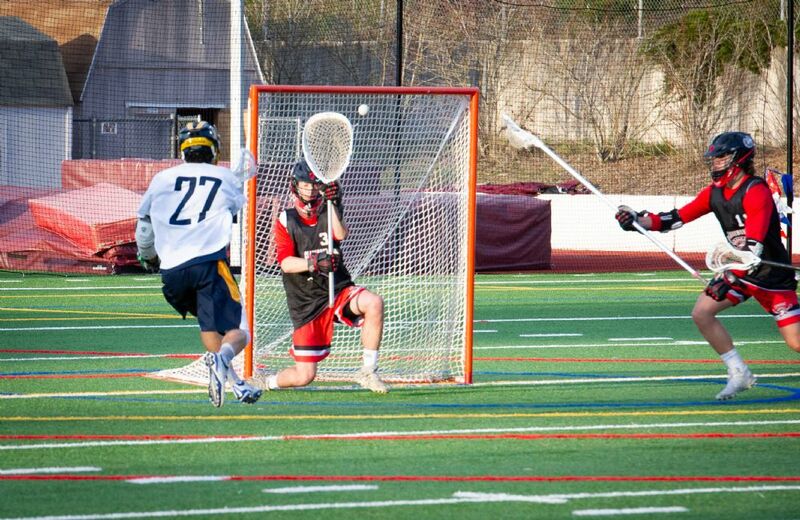 In a quarter dominated by defense from both teams, it was Nate Podolsky who broke the log jam with a rip of a goal for a 6-5 Bellevue lead at the end of the 3rd. 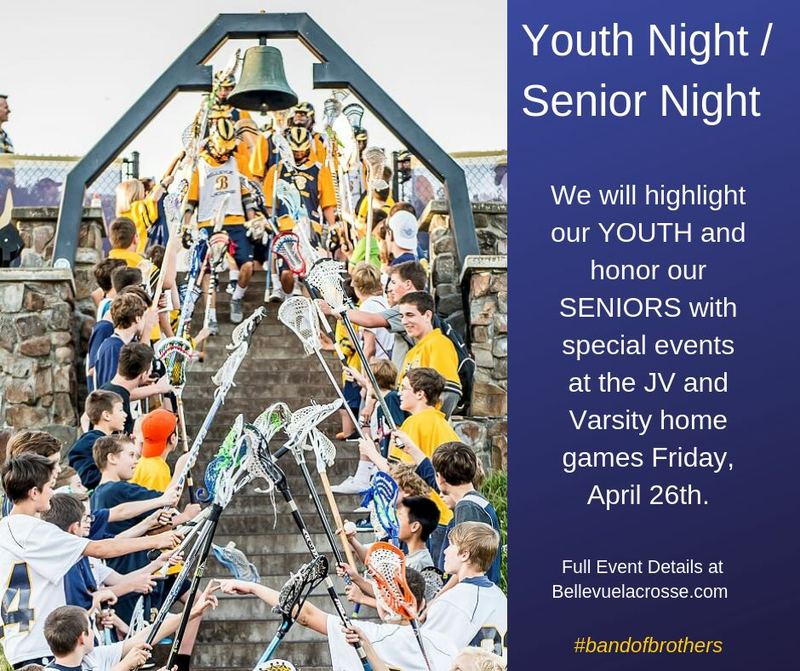 The 4th quarter was a marvel to watch between the pipes as both goalies stopped shot after shot, Senior Ethan Schiller (8 saves) and the Bellevue defense led by Shane Johnson, Dylan Overton, Matt Strecker and Logan Erisman gave Bellevue lots of opportunities with stingy play and dominating ground balls. But it was Sunset with little time left in the game that scored to tie the game again and force overtime! To overtime we go as Sunderland again won the face to give Bellevue the first look but it was Sunset that scored with 1:15 left for the win. What a game and special thanks to the Sunset Apollo’s for making the trek up from Portland for the game.